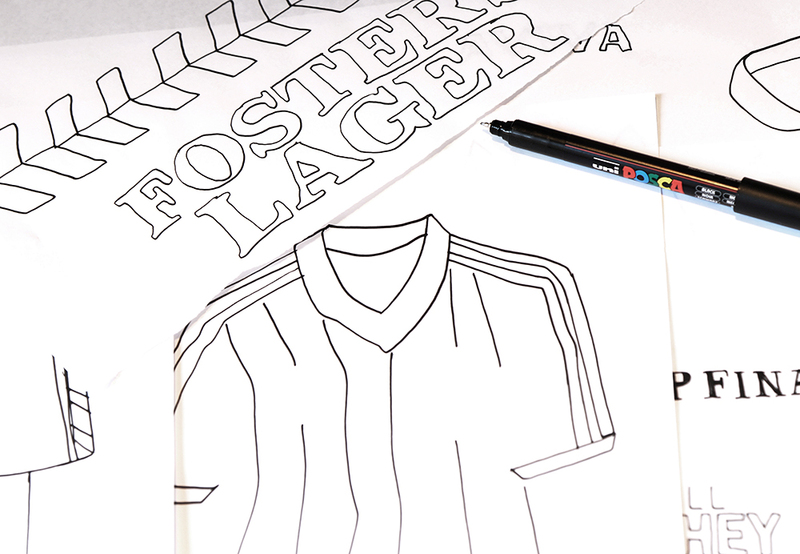 Football kits are an evocative part of the game, especially for supporters. Every fan will remember the favourite shirts they owned as kids and the iconic players who wore them during that era. 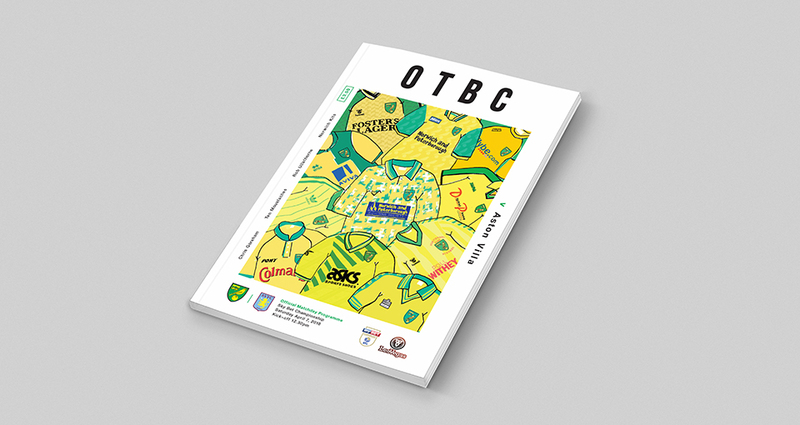 Norwich City have had plenty of memorable designs over the years and our latest programme cover artwork brings together and celebrates some of the finest home shirts in the Club’s history. The piece has been created by William Wright, a graphic designer and illustrator from Leicester. His work has a style full of character made up of abstract shapes, bold colours and loosely drawn lines. 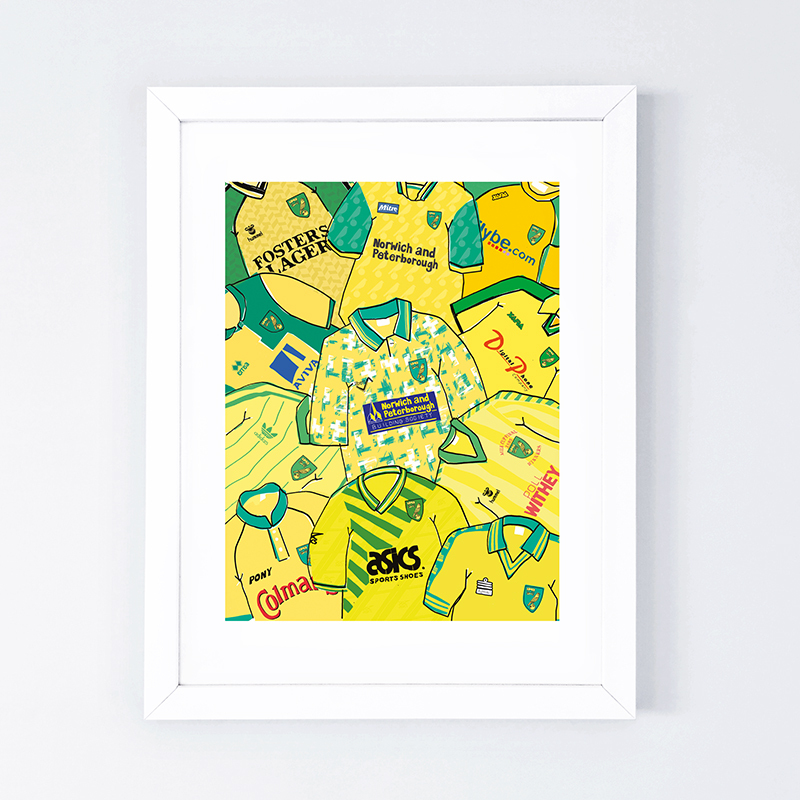 After plenty of research, William has illustrated a selection of his favourite retro Norwich shirts ranging from 1976 to 2016 and his choices are sure to bring back some great memories for Canary fans. 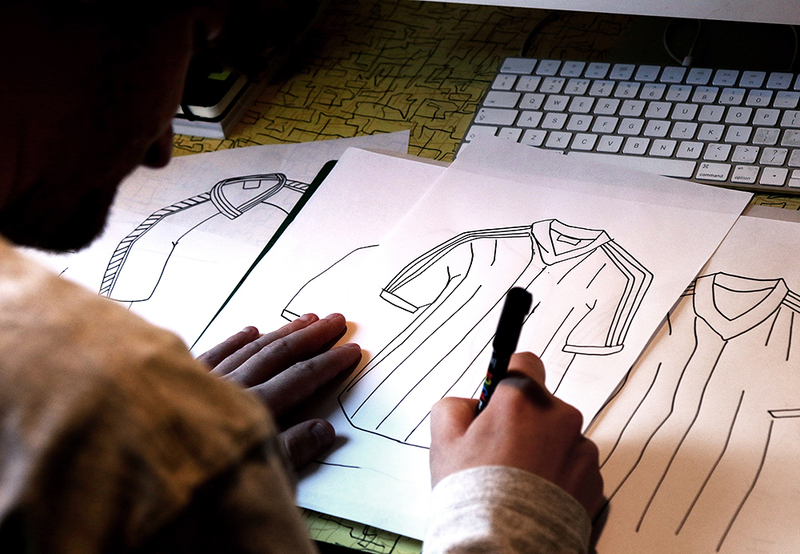 "I think football kits are great, especially retro ones. Every supporter has their favourite kit and memories to go with it. My first shirt was the Leicester City 1997 Walkers Crisps home shirt, and it was way too big for me! Norwich City have loads of iconic shirts, and my personal favourite is the 1992-94 home shirt. The green and white all-over pattern is so classic to the era. My process for creating the artwork started with a lot of research into the rich history of NCFC shirts. I planned the cover by drawing rough compositions with different sizes and orientations. I then drew the shirts and scanned each colour separately, as you would when screen printing, as this gives my illustrations different miss-alignments and character. Finally, I organised the coloured layers on the computer and arranged the shirts into an effective composition. I hope you enjoy looking at the shirts and they bring back some great memories."